Suffice it to say, I have remained painfully frustrated for over a year now in my continuing quest to get US officials to name these moderate Syrian rebels. I wait in hope that one US journalist in the State Department press pool decides to join this quest. In the meantime, please, Ambassador Ford. Be a gentleman and name them. 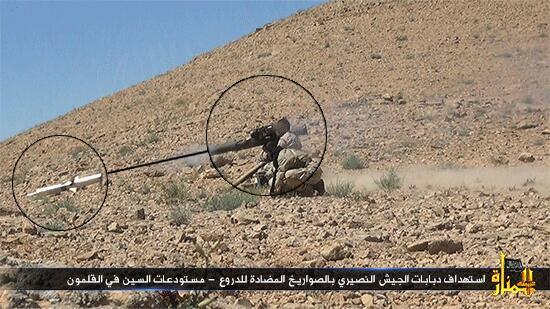 US-designated Syrian terrorist group Jabhat al-Nusra with an American-made TOW Missile in its possession. “Had we done that a couple of years ago, had we ramped it up, frankly the al Qaeda groups that have been winning adherents would have been unable to compete with the moderates who frankly we have much in common with,” he continued. ← Yemen: Nation of the bereaved.